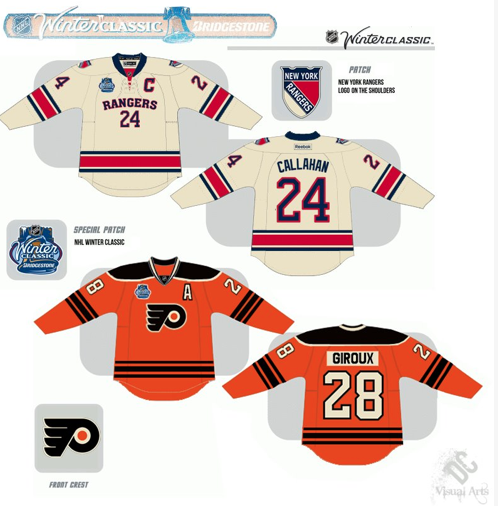 The Bridgestone Winter Classic, which will be held at Citizens Bank Park on January 2, 2012, was completely finalized minus the jerseys. Well, now that part is official too. Philly Sports Daily’s David Isaac has a handful of sources confirming the Flyers Winter Classic jerseys, which are NOT the horrible Tony the Tiger jerseys that have been sold on eBay. And to the fools who bought them… I’m sorry, but you’re a fool. I actually like these a lot. The cream numbering looks really nice. They aren’t too jazzed up and they held onto the Flying P symbol, a mainstay in Flyers tradition. I actually may be getting one of these, especially once I see them live in person. Next Werth Attempting to Lure Madson to D.C.